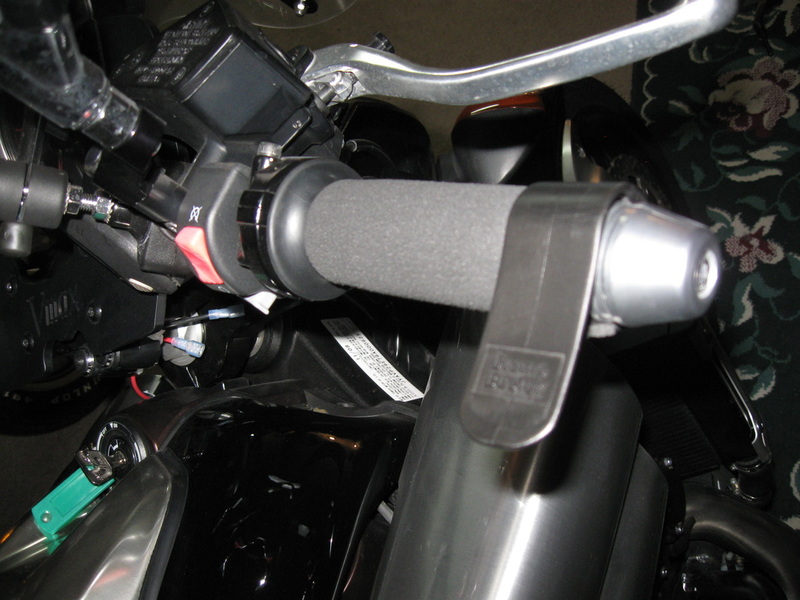 Cramp Buster® for Yamaha VMX1700 "V-Max"
The Crampbuster CB1 fits onto the OEM grips. The CB1 narrow paddle is 1 inch wide by 3 inches long and is Black in color. 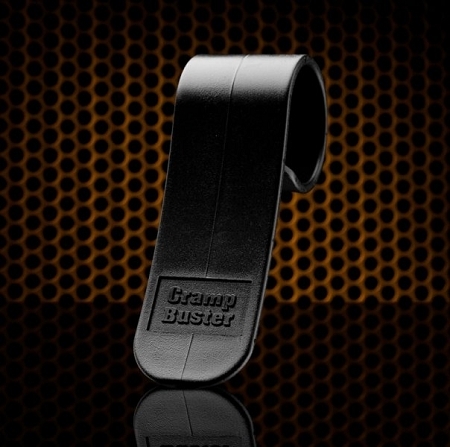 The Crampbuster provides a way for comfortable motorcycle throttle control and dramatically reduces the wrist fatigue often caused by long rides. It is not a cruise throttle lock, but rather a cruise assist. Just spring it open and slip it on. Much easier and more versatile than a traditional motorcycle cruise control. The Cramp Buster®​ is Manufactured and Sold by Cramp Buster.